The awards were announced on air last weekend on Asia Pop 40. Camila Cabello stole the show with two awards: No. 1 song and No. 1 artist. EDM-pop chart toppers The Chainsmokers were crowned No. 1 Group. The annual countdown of the top 140 songs of 2018 on the Asia Pop 40 chart played out on air throughout January and was based purely on their ranking in the AP40 chart and the number of weeks they appeared during the year. 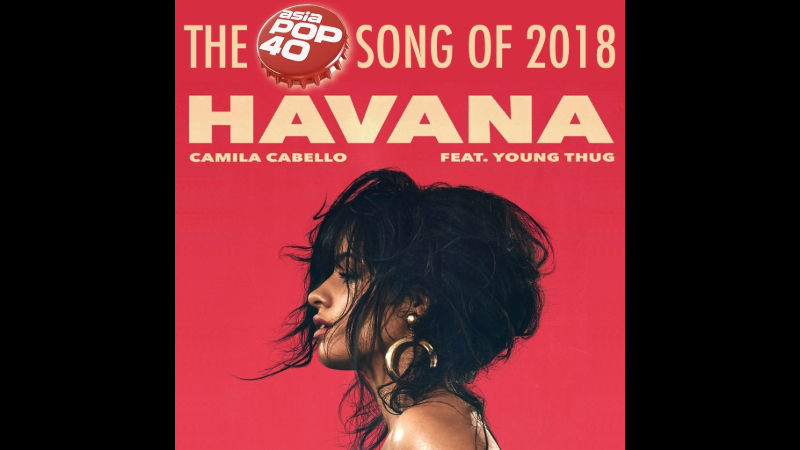 Billboard Music Award-winner and MTV Award-winning artist Camila Cabello’s smash hit “Havana” (featuring Young Thug) has been named as Asia Pop 40‘s Number One Song for 2018. 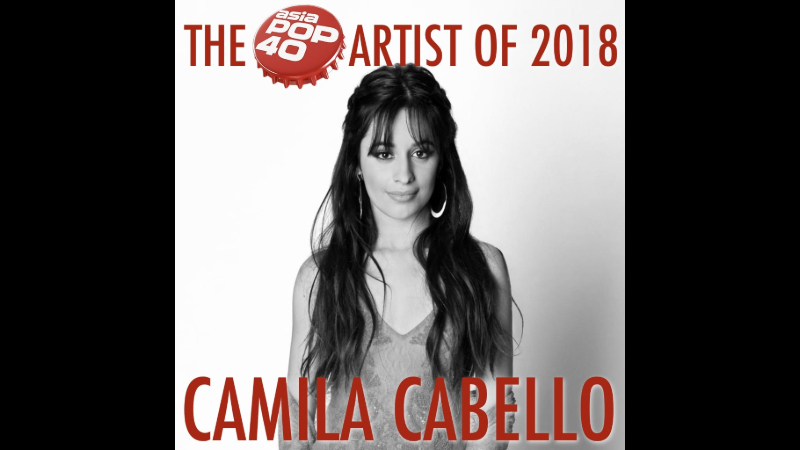 Camila Cabello has also been named as Asia Pop 40‘s Number One Artist for 2018. 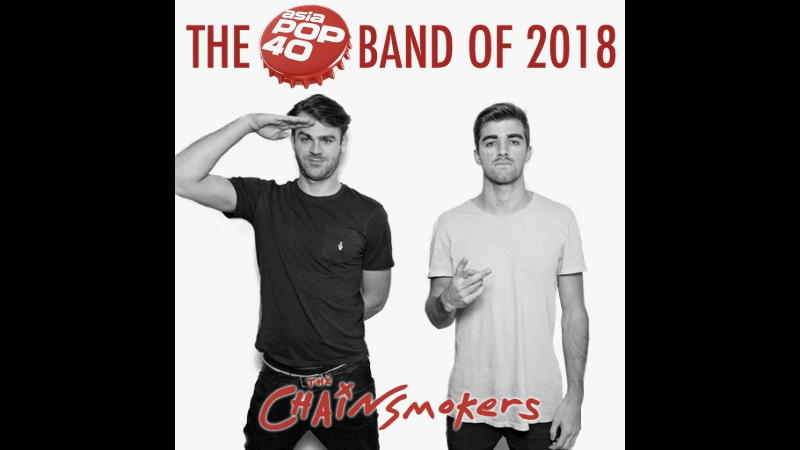 L.A.-based EDM-pop duo The Chainsmokers were named Asia Pop 40’s Number One Group for 2018. Throughout January, the region’s first and only syndicated radio chart countdown programme, Asia Pop 40, counted down the most popular 140 songs from 2018 over four weekly installments. One song appeared in 2016’s, 2017’s and 2018’s countdown. Asia Pop 40 is the first regional weekly chart countdown radio show produced in Asia specifically for Asian radio. Each week Asia Pop 40 counts down the most popular downloads across Asia to produce a pan-regional radio programme. Asia Pop 40 is supported by a multi-faceted, multi-lingual website, www.asiapop40.com, featuring the chart, artist interviews, celebrity gossip and social media plug-ins, making it an essential platform for any advertiser wanting to reach a young, affluent Asian audience. Asia Pop 40 was created by and is syndicated by EON Syndicated Media, based in Singapore. Asia Pop 40 is three hours in length and, apart from showcasing the latest music, also features latest movie reviews, albums reviews, artist interviews and massive competitions. Asia Pop 40 airs weekly on Phuket Live 89.5 on Fridays from 9pm and Sundays from 1pm.